Despite the global NAND shortage and the financial troubles Toshiba is experiencing as of late, the company recently announced the new TR200 SSD featuring their latest 64-Layer BiCS TLC 3D NAND. 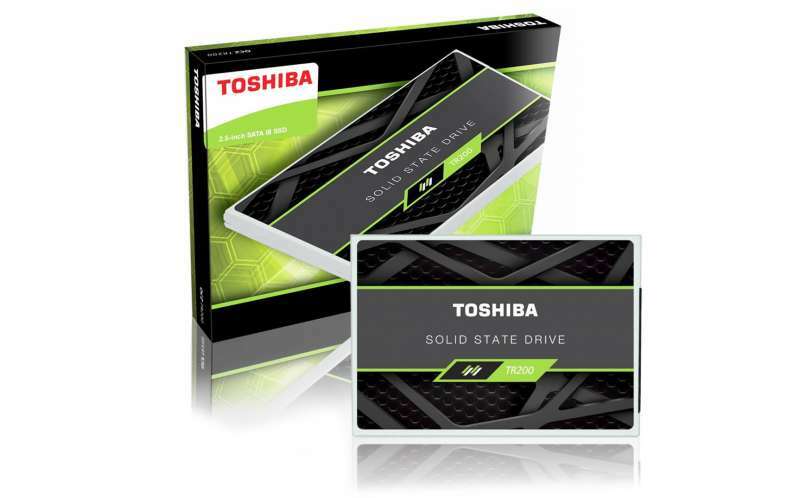 The new Toshiba TR200 will be available in capacities of 240GB, 480GB, and 960GB. Performance is rated at up to 550MB/s sequential reads and 525MB/s sequential writes. 4K performance is rated at up to 80K/87K IOPS random reads/writes. The drive will feature an endurance of 60-240TBW and a warranty period of 3 years. The Toshiba TR200 is expected to be showcased at the ChinaJoy show in Shanghai, China from July 27 to July 30, then at GamesCon in Cologne, Germany from August 22 to August 26. 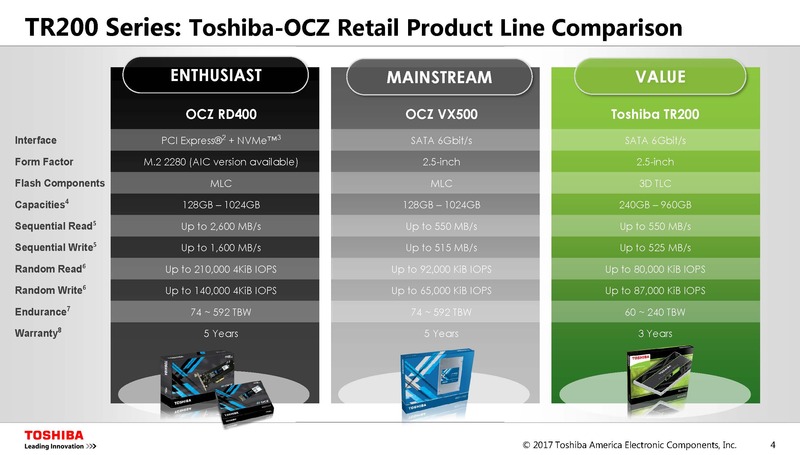 Toshiba says the TR200 will be available this fall although pricing is still unavailable at this time.